Somerville House is a Prep to Year 12 day school for girls, with boarding available from Year 6 and a co-educational Pre-Prep program. Boarding is available for students from Years 6 to 12 and our facilities, dedicated boarding staff and related programs are renowned both nationally and internationally. Located in the inner city suburb of South Brisbane, just two kilometres from the city centre and directly opposite South Bank parklands and the state’s pre-eminent cultural precinct, Somerville House offers enviable campus facilities and programs bolstered by highly credentialed and dedicated teaching and support staff, tutors and coaches. Academically, the School stands as one of Australia’s finest. With outstanding facilities for Music, Performing Arts, Cultural endeavours and Sport, combined with one of Australia’s leading technology programs, Somerville House students graduate with a much broader education than can be provided by an academic curriculum alone. The School provides a comprehensive, balanced educational environment that recognises the importance of academic excellence as well as psychological, physical and spiritual wellbeing. This is reflected in the School’s rich and varied academic, sporting, cultural and social pursuits and our proud history of developing well rounded, confident and capable students. Somerville House provides each and every student with the framework they require to explore their interests, develop their talents, to strive to meet their goals honourably, and ultimately, to be the very best they can be. Somerville House is governed by the Presbyterian and Methodist Schools Association (PMSA). 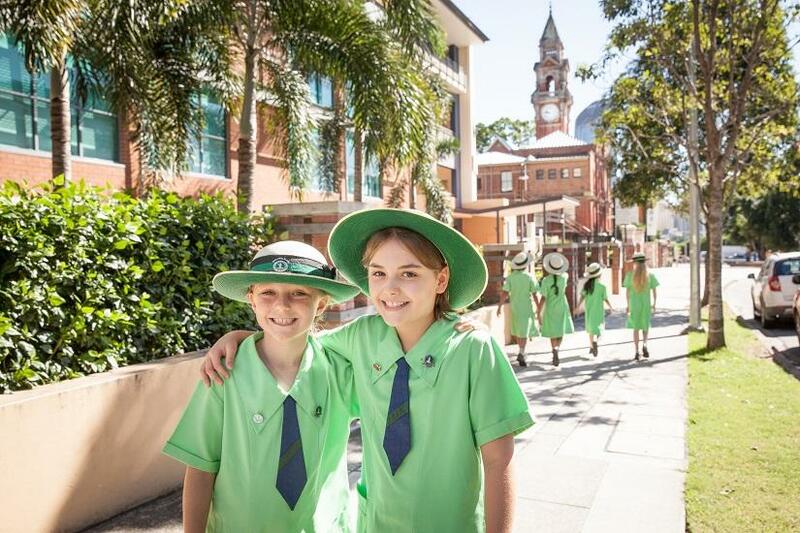 Students travel from around Australia, and the world, to take advantage of the School’s superb academic, cultural and sporting facilities located on the doorstep of Brisbane’s academic, cultural and medical precinct, in South Brisbane. • The Foundation Building houses the Early Learning Centre and Pre-Prep program. • The Junior School features specialist Science Laboratories, Music Rooms and Art Rooms with specialist teachers. • Valmai Pidgeon Performing Arts Centre (VPAC). • M.K Jarrett Music School. • Boarding facilities for Year 6 to Year 12. • Seymour Library Information Centre and Constance Cotton Junior School Library. • Heritage Listed Buildings – Cumbooquepa, The Chapel, The Chambers. • Graham Street Set Down Loop. • Sports and Aquatic Centre. • Water Sports Facility (Rowing Shed). • Under The Clock café (open to the public). The Academic program at Somerville House is underpinned by the School's unique Curriculum Framework which emphasises engagement, excellence, empowerment and diversity in teaching and learning. With the School's Christian values at the core, the curriculum ensures each student from Pre-Prep to Year 12 is provided with rich opportunities for critical, creative thinking and rigorous, independent learning. A strong focus is given to using emerging technologies to maximise learning. Opportunities are provided to extend classroom learning, providing additional challenge for high achieving students. Learning Enhancement is provided in the Junior and Middle Schools for students who require learning consolidation. The Somerville House Co-Curricular Program offers our students a wide range of cultural, musical, sporting and social opportunities and provides a framework to identify, match and nurture student skills, talents and interests. Our carefully crafted Co-Curricular Program, which currently consists of two hundred and fifty teams or activity-based groups, is integral to the educational experience of our students. Through participation in co-curricular activities, all students are encouraged to embrace the opportunity to develop their potential spiritually, socially, physically and culturally. The Somerville House Co-Curricular Program is unique in nature by the sheer breadth of activities offered throughout the year, the use of state of the art facilities and the involvement of highly accredited instructors to maximise student success and personal growth. Boarders of diverse nationalities and culturally rich backgrounds travel from around Australia and the world, to take advantage of our renowned academic, cultural and sporting facilities at Somerville House. Shaping the future of young people – the way they think and solve problems, and the way they perceive themselves, others and the world around them – is an increasingly complex challenge. In a world that demands innovative, ethical solutions to a wide range of humanitarian, environmental and commercial challenges, Somerville House strives to ensure students leave with, not only a first-class education, but a well-rounded and supported schooling experience. Since its establishment, Somerville House has exercised its unwavering commitment to provide an education that nurtures students into well-rounded, confident and knowledgeable citizens of integrity. In addition to our efforts to develop academic excellence, this commitment is reinforced through the provision of extensive staff and peer support networks, student-led activities, progressive leadership opportunities and dedicated Pastoral Care within the School curriculum. Pastoral Care is an essential element of the Junior School curriculum and is primarily delivered by the classroom teacher. Initially, students learn the social skills required to work and play happily with other children in both formal (classroom) and non-formal (playground) settings. Students will explore topics which are relevant to their year level, such as self-responsibility, interpersonal understanding, the changes associated with puberty, and the skills to promote successful learning are explored. In the Middle and Senior School, Pastoral Care is arranged in a horizontal structure, with Heads of Year assisting at each year level. Homeroom Teachers and Tutors, who have extensive contact with students on a daily basis, take significant responsibility for the care of students in their class groups, assisting new students to settle in and providing a knowledgeable point of contact for any initial parental or student concerns. Formal weekly Pastoral Care sessions, conducted by Homeroom Teachers or Tutors cover a variety of important topics through discussion and activities. These include: manners and demeanour, assertiveness, resolving conflict, strengthening support networks, dealing with stress, how to stay safe, making decisions, developing friendships and the ethical use of technology. Pastoral care at Somerville House is more than an action, and more than a subject to be studied, it is implicit in our daily interactions with each other, in our many family events such as welcome evenings for parents, mother/ daughter breakfasts, family chapel services and boarding family gatherings, it is our cultural norm. A Somerville House Scholarship will provide your daughter with every opportunity to achieve her personal best; to become an independent and responsible young woman, armed with the knowledge and skills needed to confidently navigate her path in the world beyond school. Each year a limited number of scholarships are awarded on the basis of merit and/or equity (which may include hardship) to Australian students (citizens or residents). ‘Honour Before Honours’ is the Somerville House motto, a motto valuable to our students now and for their lives after school. It is a great honour to serve at Somerville House, and I return mindful of all that the School holds good and valuable. I make my commitment to the students, staff parents, Old Girls, and to members of the broader school community that the education and welfare of our students is and always must be our first priority. In making this commitment, the School motto will guide me in the way we make our way forward together. So to, do the words, ‘...whatever is true, whatever is noble, whatever is right, whatever is pure, whatever is lovely, whatever is admirable - if anything is excellent or praiseworthy - think about such things’ (Philippians 4:8). My focus will be to continue the critical work of pursing excellence in all aspects of life at Somerville and promoting the values and behaviours which are representative of our Christian faith. All of us in the school community serve the school in some capacity. I look forward serving the School, and in particular, the students of Somerville House. Together we can accomplish great things.